Crime victims’ rights don’t end after conviction and sentencing. Defendants have opportunities to challenge legal outcomes through appeals, post-conviction proceedings or federal habeas corpus proceedings. In each of these proceedings, Oregon Department of Justice (DOJ) attorneys represent the state, not the individual crime victim. Crime victims may consult or hire an attorney to help them exercise their rights. The Oregon DOJ’s Crime Victim and Survivor Services Division (CVSSD) has Victims’ Advocates to help victims keep informed about their case. be notified of these rights by the District Attorney. 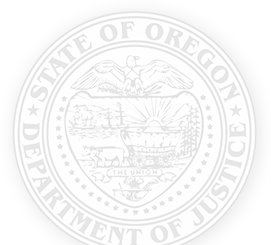 receive reasonable, accurate and timely notice from the Oregon DOJ if an appeal, a petition for post-conviction relief or a federal court action is filed. receive notice from the Psychiatric Security Review Board if a hearing is scheduled. attend any public hearing related to these proceedings. be reasonably protected from the offender if the offender is present during any of the proceedings. have your schedule taken into account in scheduling these proceedings. inspect, in advance of the proceeding, any public record on which the disposition of the petition will be based. be heard, either orally or in writing, at certain hearings. consult with state’s attorney on the case. be informed by the state of the outcome of the proceeding.